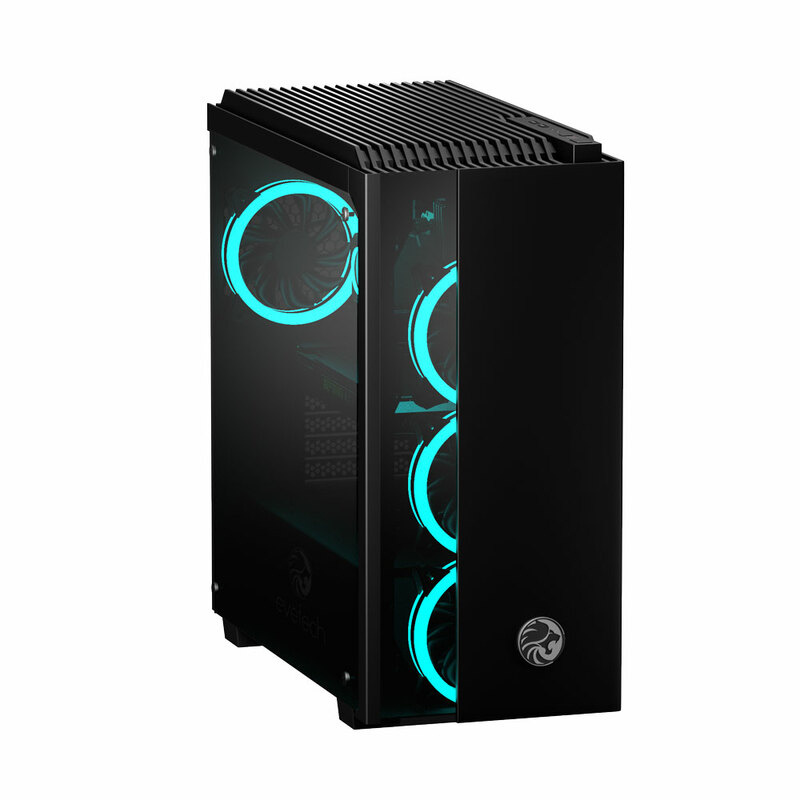 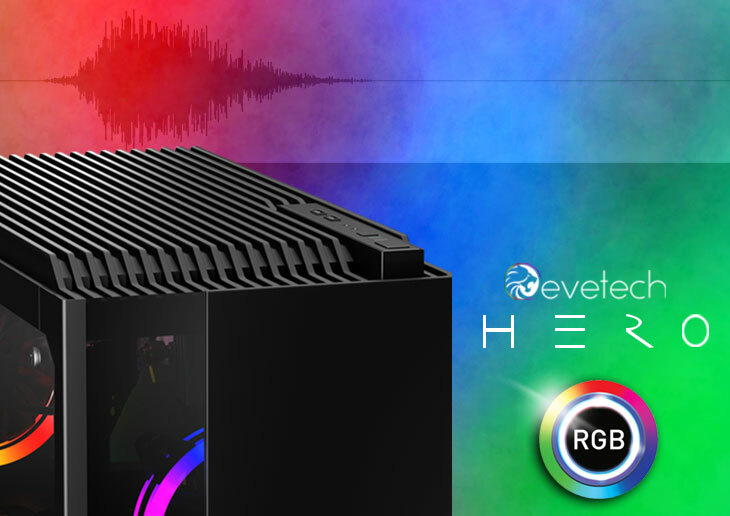 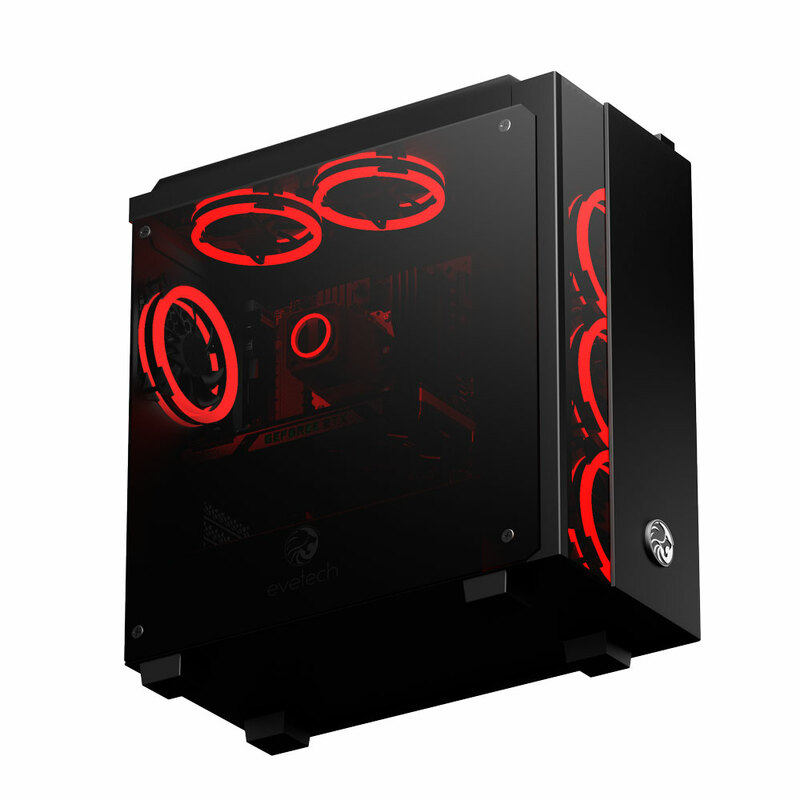 Evetech HERO Tempered Glass ATX Gaming Case / 6x RGB High-Speed Fans / RGB fan controller with remote / Support USB 3.0 & 2.0 / Syncs with MSI Mystic lighting & ASUS aura sync + FREE DELIVERY ! 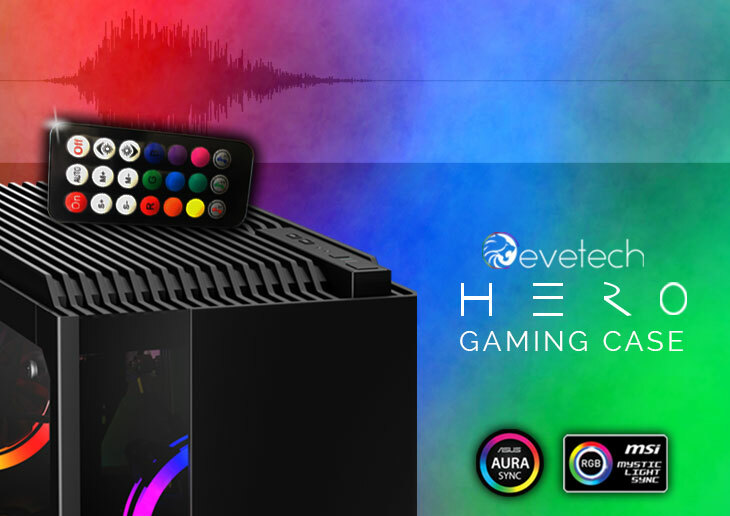 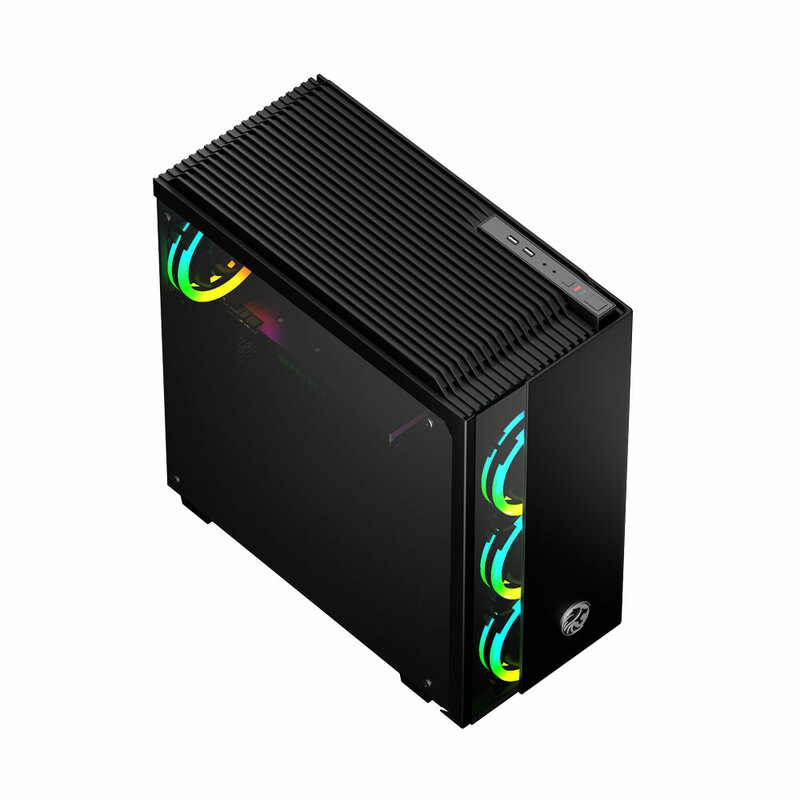 The outstanding new Hero case comes with the incredible vibrant RGB lighting controlled by a single remote that is included in the package. 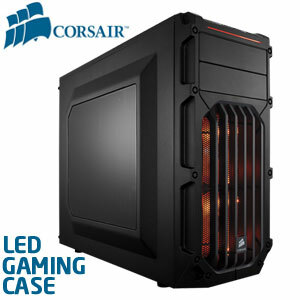 The lights are able to sync to your favourite brand, whether it be the ASUS AURA SYNC or the Mystic Light Sync by MSI. 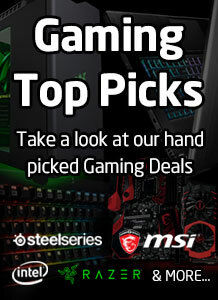 You can change your entire gaming setup at the touch of a button, literally! 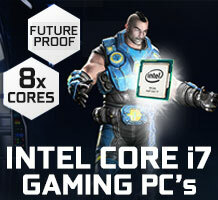 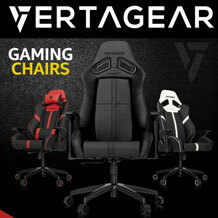 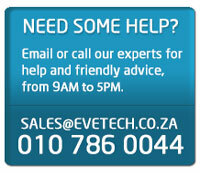 Evetech strives to bring you the best hardware and gaming components available on the market. 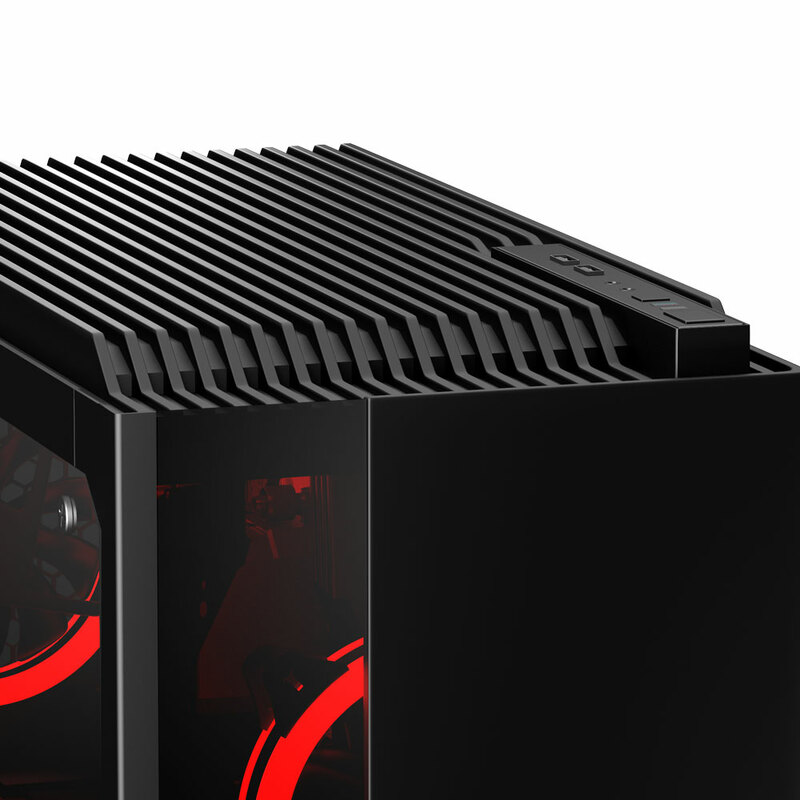 Now introducing the all new Hero case to take your PC building experience to the next level. 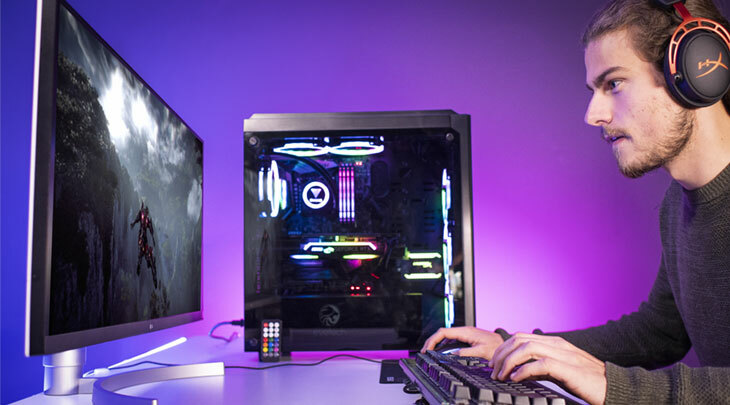 The six RGB fans have a unique feature, the LEDs react to sound around them making your setup come to life with every bass drop. 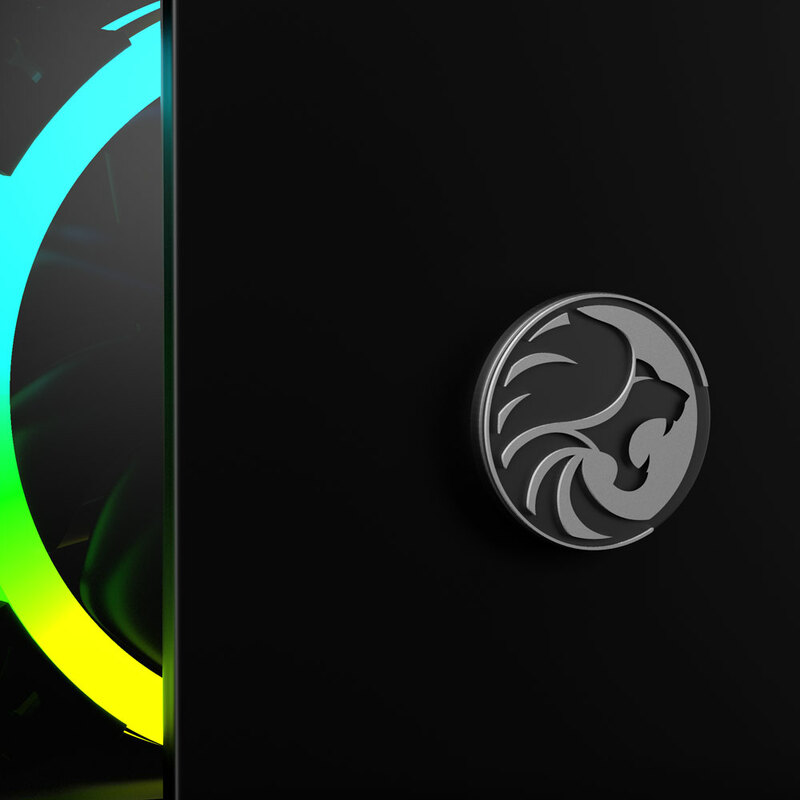 The vibrant colours are enough to take your breath away, but add the fact that you can play your music and have your chassis dance to every tune. 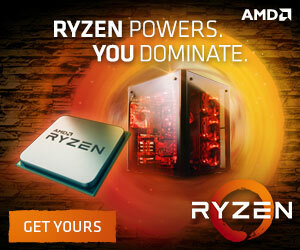 Now that's innovation done right! The Hero case comes equipped with six RGB fans right out the box giving you streamlined airflow to keep all your gaming components cool no matter what game or workload you throw at it. 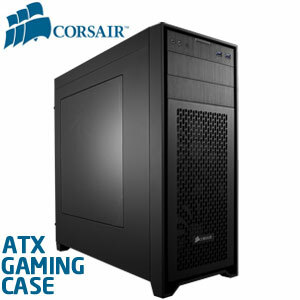 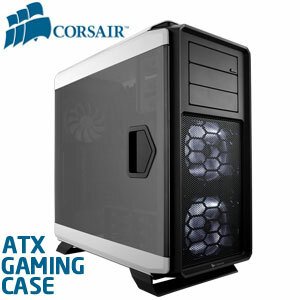 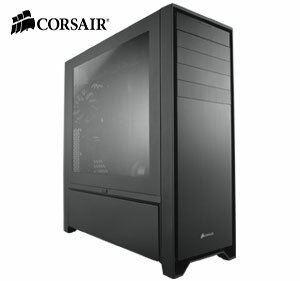 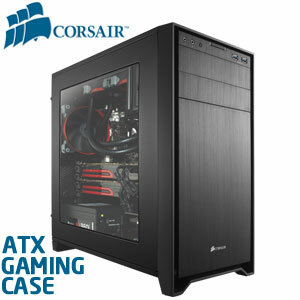 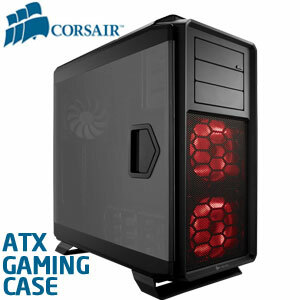 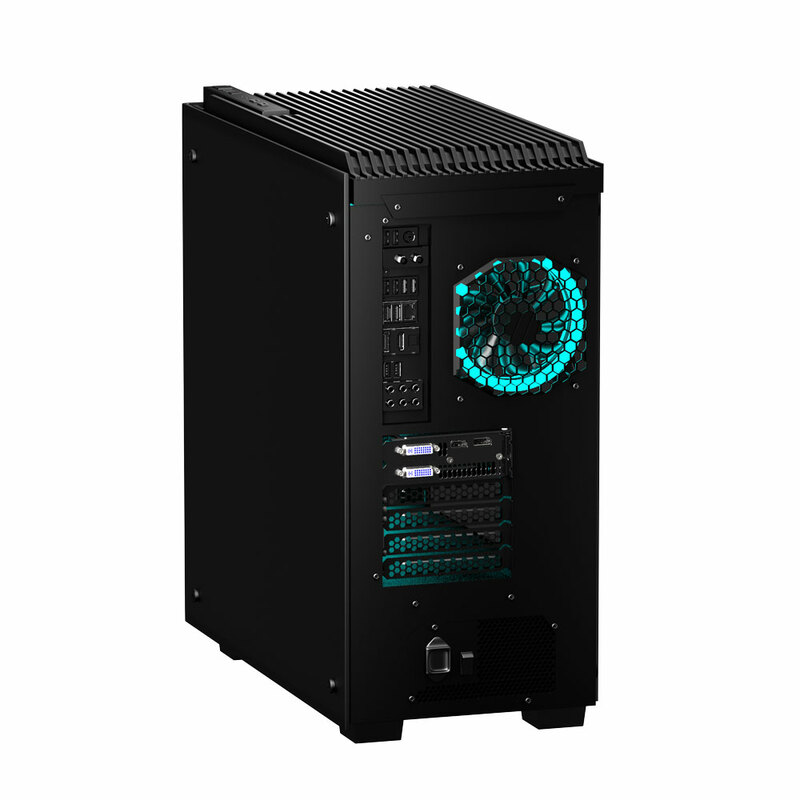 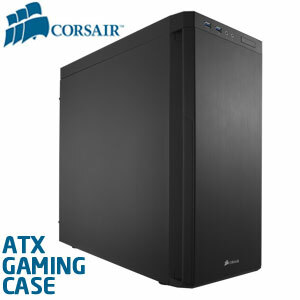 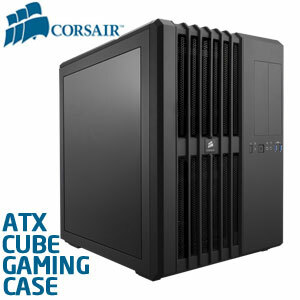 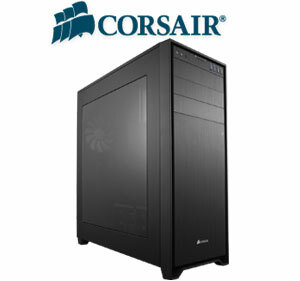 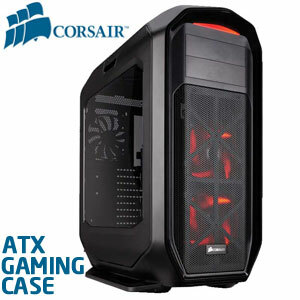 The hero case is an excellent crafted gaming PC case to house all your premium gaming hardware. 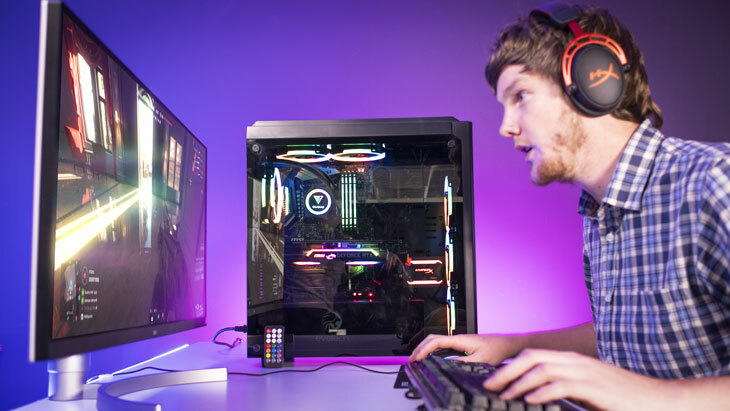 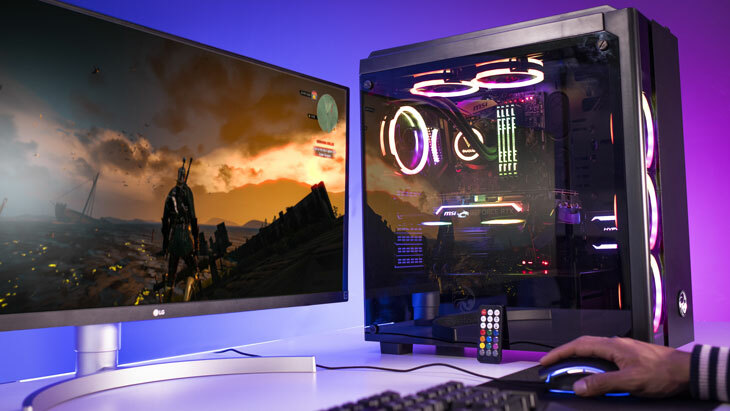 Let the Hero case be the center of your PC build and showcase the beauty of your gaming hardware through the clear side panel. 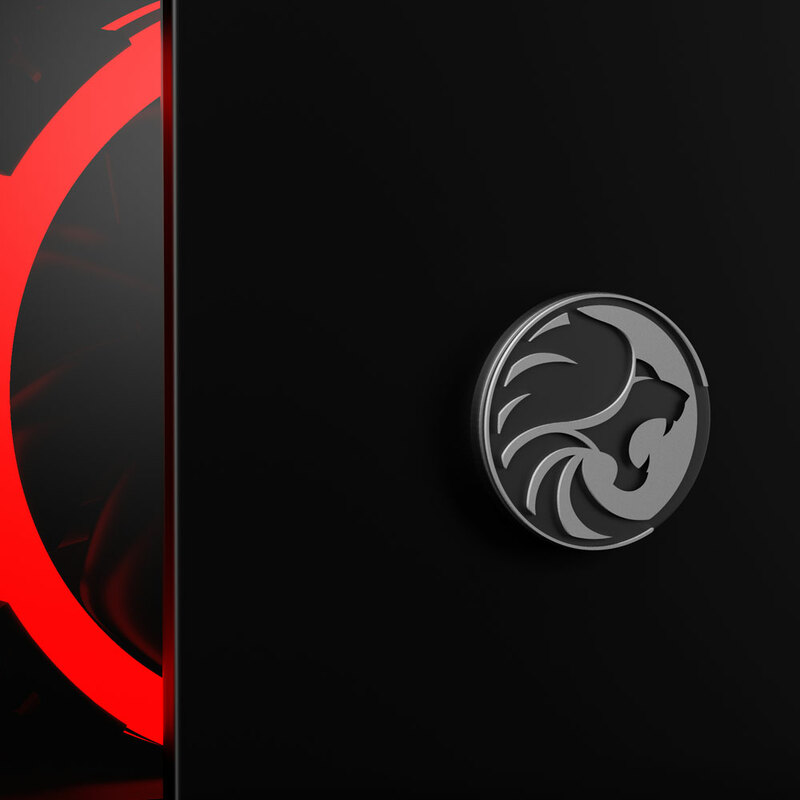 The Hero case is where elegant styling meets remarkable build quality.